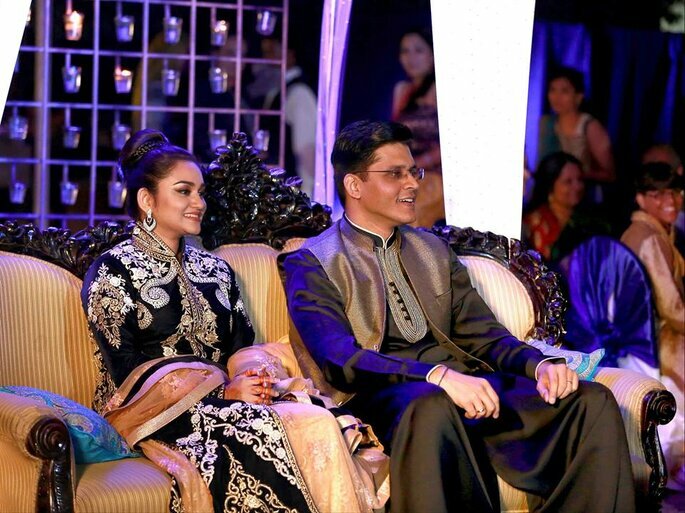 Winters are beginning soon and winters bring wedding season too. Wedding is not a simple task. It is very hectic work! We have to decide so many things like outfits, accessories, footwears, theme, venue, etc. Mostly girls have to decide so many things like makeup, dress, jewellery, you decided all the things but don’t you think you forgot something which adds more beauty to your look ? That Every Bride Should Keep in Her Beauty Kit: The Essentials. Yes! yes! Your Hairstyle. Don’t you worry. we are here to make you special!! Hairstyle is something which adds up to your charm a thousand times more, if made in a different way. Not only the bride-to-be but everyone else too wants to give their best look, be it the bride/groom’s Mami, Bhabhi, Sister or Friend. So by trying these hairstyles for different wedding functions you will be the show stopper of every function at the wedding. So are you ready? Nikki Neeladri Makeup Artist Here are few hairstyles for wedding which you can try at any function. First function of the wedding , everyone’s eyes should be on you right from the beginning. As we all know that first impression is the last impression, so get ready to catch all hearts. 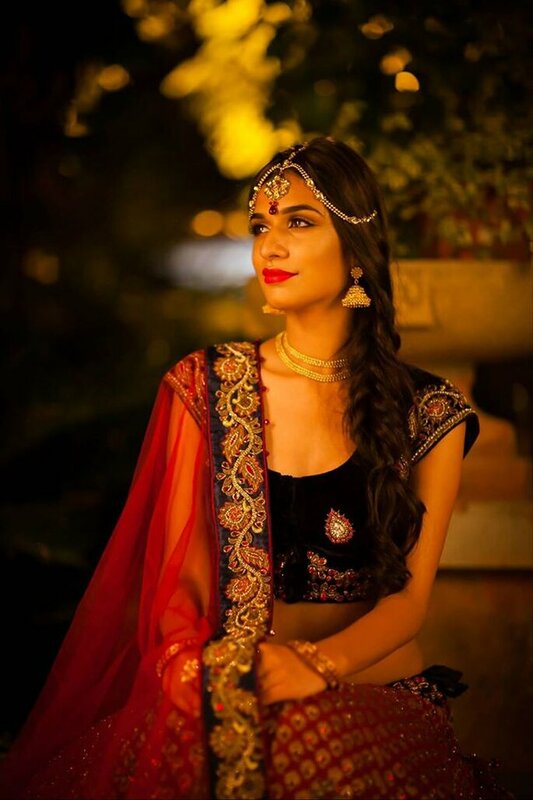 If you are going to wear a lehenga this hairstyle is the best! It is classy and carefree. And the best part is it works on anything, from short to long hair. You can add some ornaments or accessories too, to make it more impressive like mangtikka or any other floral jewellery. If you want to try something new try this tight knot bun. This will be the best for any wedding functions. You can wear it in any function, though it suits best on the ones with sharp features. You can try this style on any gown and Indo- western outfit. Don’t put any jewellery on it, but if you are a fan of jewellery, just wear mang tikka or earrings. Best and evergoing hairstyle that you all try in your everyday life. If you wear a normal kurti or suit just try this one, it gives you a simple and pretty look. You can try a braid to keep your hair in peace. If you want more free style just make half braid and leave the rest of the hair open, draped on one shoulder. Whether it is a fish braid or messy braid it just looks sweet and cool. it always looks function appropriate. Dance programme is full of fun, masti and dhamaal. This day is full of enjoyment besides this everyone has a point of worry that after giving performance all the hair get messed up, what can we do with hair so that hair don’t get messed up. Don’t worry we are here to help you by giving you some best tips. This hairstyle is for those who don’t like tight bun or to whom tight, flat hairstyles don’t suit. Messy hairstyles always look awesome, just make twisted rolls from hair on both sides and if you want, just leave some flicks on your face, in this you look pretty as always. If you like bun and open hair both and you are confused about which one is best for you on your special day, don’t be confused. Now you can go for both hairstyles bun and open hairs at one time and it also gives you a different look. From upper part of hair make bun or any hairstyle like half braid or full and leave other half hair fall naturally or open or you can give some touch of curls from curling too, but don’t forget to get it set with some hairspray to avoid curls from opening. Don’t you think this hairstyle is going to rock for the dance party? Now we are nearing the end of the wedding days. So keep in mind that you have to look best for the last function so that you leave an everlasting impression on everyone and no one can just forget your WOW!! look. You should look Wow!wow! and just wow. 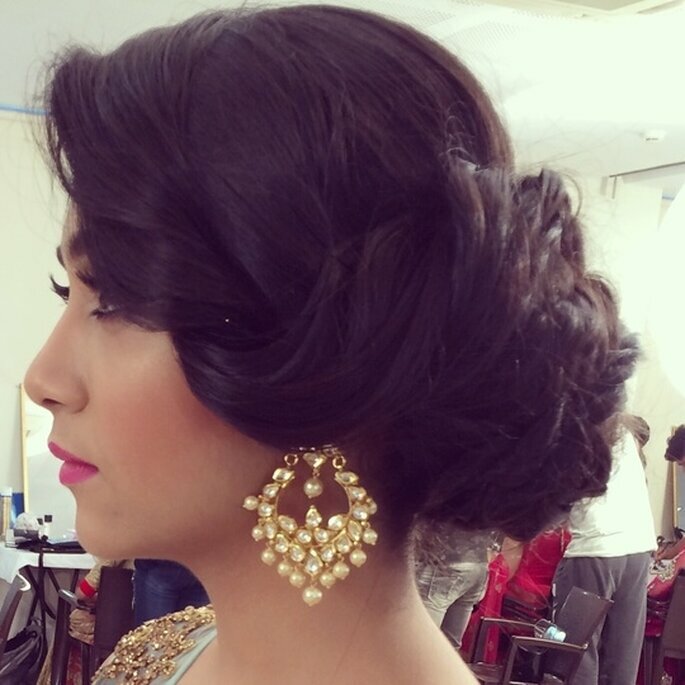 Here are some more hairstyles to give you a stunning look for the end of the wedding days. 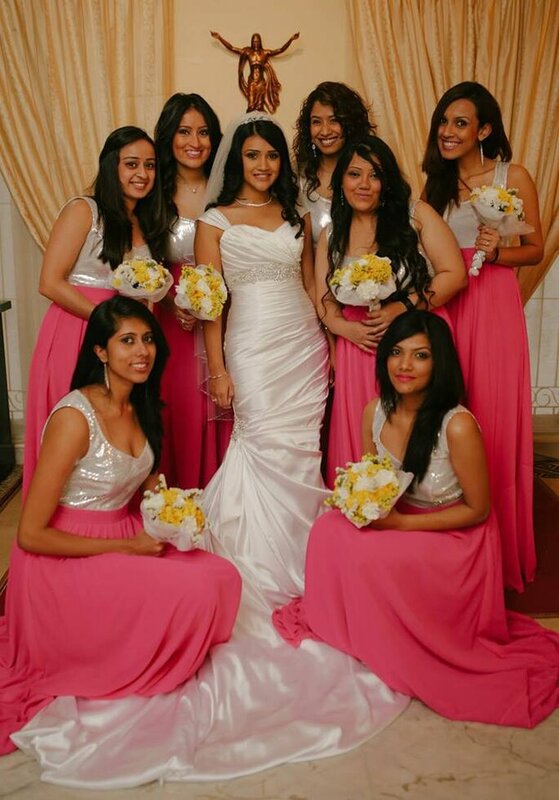 If you don’t have so much time and you are the sister or friend of the bride/groom and you also want to look special, don’t worry ,we shall give you some wonderful tips that will take only ten to fifteen minutes from your busy schedule and give you a ‘wow’ look. Just straighten your hair and give partiton of hair from middle of your nose and if middle partition doesn’t suit you, try right partition and give light touch of soft curls on lower end of your hair and you can leave all your hair at the back or bring some hair to the front on the side. Now you are ready for the wedding day to make a blast. For those who have curly hair it is the best one among all hairstyles. This is personally my favourite too because I have curly hair. for this hairstyle, all you should know is how to make a bun. Just make loose bun of hair but don’t forget to pin it properly, leave some flicks on face because curly flicks look amazing. You can add some hair acessories too or maangtikka, mathapatti or you can add some pearl beads on your bun. If you are going to wear saree, this braid bun will perfectly suit you. Also you can try it with South Indian look which makes you totally different by giving you a different look. 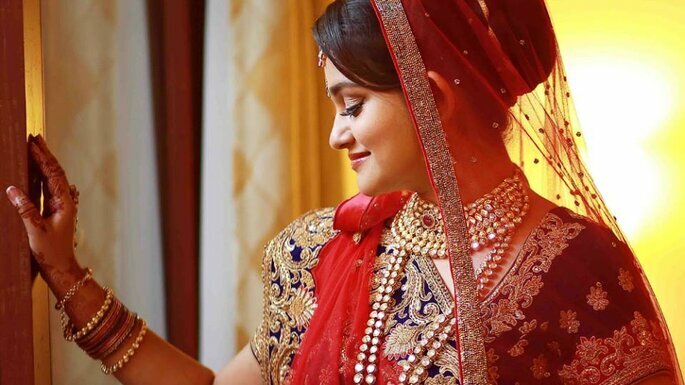 On bun you can wear gazra, or any flower jewellery.So here are so many hairstyles you can choose according to your taste and look and make yourself a show stopper of any wedding or event. So which one do you like for upcoming wedding? We have brought the best of hairstyles for you.A little extra effort would give you a beautiful look.You can choose accordingly with your outfit and function and make your look stunning and be an eyecatcher at the party. All the best! Today the renowned and talented make-up artist tells us how to achieve the 'dual knot hairstyle'. A great look for any classic bride who wants to break the traditional norm and go for a more softer hairstyle. 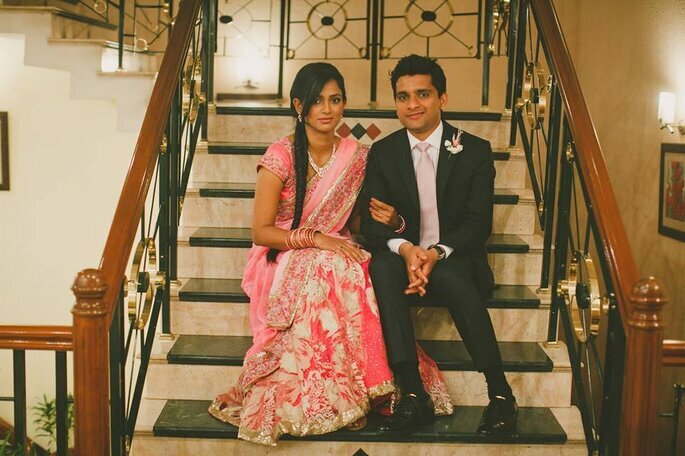 We’ve all dreamt of the day we find the lehenga which perfectly suits us, the kind we want to wear and get married in, the one that makes us look like the best version of us on our wedding day! Be confident and have a belief that you look the best in your makeup and hair. With these tips and tricks, you are sure to be the center of attention on your most special day. Be a fabulously unique bride on your dream day.